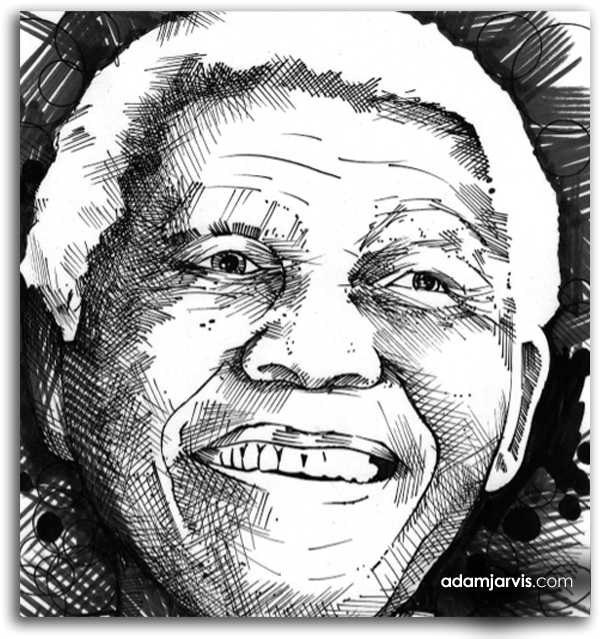 A tribute portrait of Nelson Mandela. Like many people, I was shocked to hear the news of Nelson Mandela's passing. It's funny how we expect our heroes to live forever. Mandela was an inspiration to so many. This portrait is a tribute. 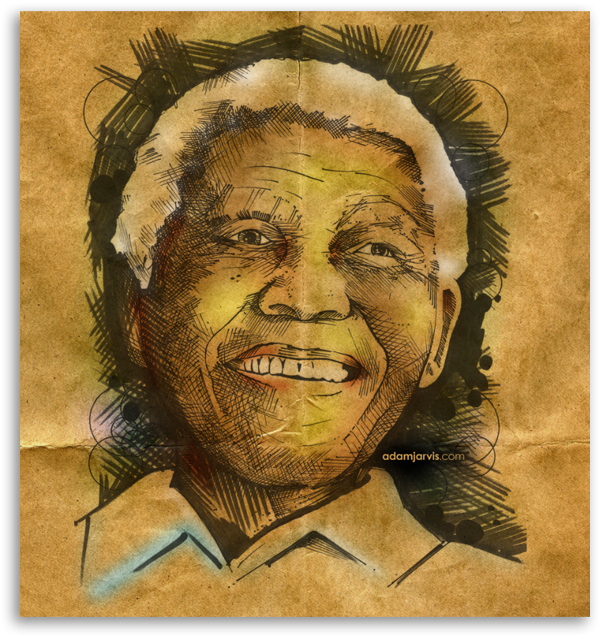 This illustration was completed in a few hours after hearing the news of Nelson Mandela's passing. When I was a young teenager living in Toronto, Nelson Mandela visited our city. It was hard to get a good look at him over the sea of people. But he was there. That night, I went to a party at Ryserson University. A few photography students had gone down to city hall and shot great closeups of Mandela as he spoke. Those images were projected on a 30 ft brick wall as a backdrop for the party. They mixed his voice in with the music. I've never forgotten that night. I have a diverse range of illustration styles.